All member states, practically with no exclusions, have mentioned the refugee problem as a large budget expense. European Commission President Jean-Claude Juncker (Luxembourg, EPP) said so to MEPs this week, stating before that he was surprised by this. In September, ministers of finance of the EU commissioned the EU's executive to come up with an analysis on the reflection of the migrant-refugee crisis on national budgets and the possibility it could be qualified as an “extraordinary circumstance”, which would allow expenditures on the refugees not to be taken into account when calculating budget deficits. In mid-October, Commissioner on Economic and Monetary Affairs Pierre Moscovici (France, Socialists and Democrats) announced that such analysis would be done on a country-by-country basis. 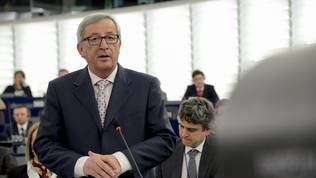 On Tuesday (October 27th), Mr Juncker announced that he fully understood the concerns of member states, so the Commission will review each case separately and, when there is enough evidence to support it, the interpretation of the flexibility of the Stability and Growth Pact, published at the beginning of the year, will be applied. In it, the expression “extraordinary circumstances” is interpreted as events, which are outside the control of a given member state. Juncker warned that if a member state were unable to prove that it is affected by excessive expenses for refugees and migrants it will not be treated with the provided flexibility. At the moment, the Commission is preparing an analysis of the draft budget plans of euro area states. Some of them, like Austria, Belgium, Finland, and Italy have mentioned expenses caused by the refugee crisis in their drafts. The EC will review the fiscal condition of every state that sends an official request for flexibility. A large portion of the expenses of member states are covered by the European budget, which pays 6 000 euro for every sheltered refugee. Aid is released for border policing and other member state expenses. In this regard, the Commission boss warned in the plenary on Tuesday, when he was reporting on the results of the European Council of October 15th and of the summit of states along the Western Balkans refugee route, that the community budget is limited. The possibilities for flexibility in enforcing fiscal rules are also limited, he said. He informed that at the moment the European budget is almost at its limit and urged member states, the European Parliament, and the European Investment Bank to think about additional funding, “to find the money that we need to meet the crisis”. 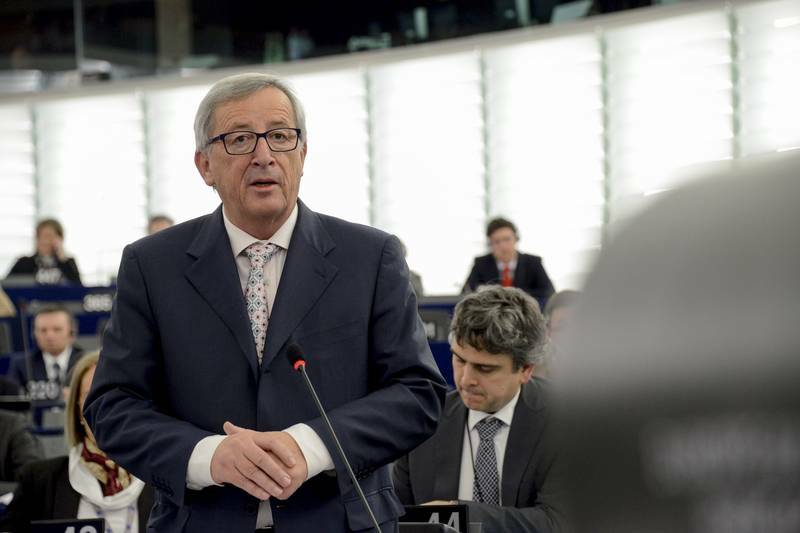 Exceptional situations call for exceptional funding, said Jean-Claude Juncker during his 30 minute report to MEPs. Yesterday (October 29th) started the official negotiations between the European Parliament and the Council with the mediation of the European Commission on the EU budget for 2016. The deadline for reaching an agreement is 21 days. According to the EC, there is no real increase in the budget for next year compared to this year’s. Actual payments have retained their volume at the expense of the decrease of commitments made. There is a sizable increase in the draft on the money dedicated exactly to the refugee crisis both in an internal European and in foreign policy scope. Payments under the “Security and citizenship” heading, where migration funds are allocated, have been increased by 56.6% compared to last year and commitments are increased by 60.6%, the actual numbers being 3 billion and 4 billion euros respectively. Money has been increased in the “Global Europe” heading where foreign policy instruments relative to limiting refugee and migrant pressure are allocated. The increase of payments there is 35.8% compared to last year, but commitments have risen insignificantly – by 3.7%. This increase is at the expense of the largest headings of the European budget – “Smart and Inclusive Growth”, where commitments are cut by 10.5% and payments by 0.4%. “Sustainable Growth: natural resources” is trimmed by 2.5% in commitments made and 1.1% in total payments. In the past few years the adoption of the European budget has turned into one of the most controversial subjects in the EU because of the economic crisis and its nominal decrease at Great Britain’s insistence.